Hi Doodlebug fans. Jennifer here and today I'm sharing a fun Easter project. 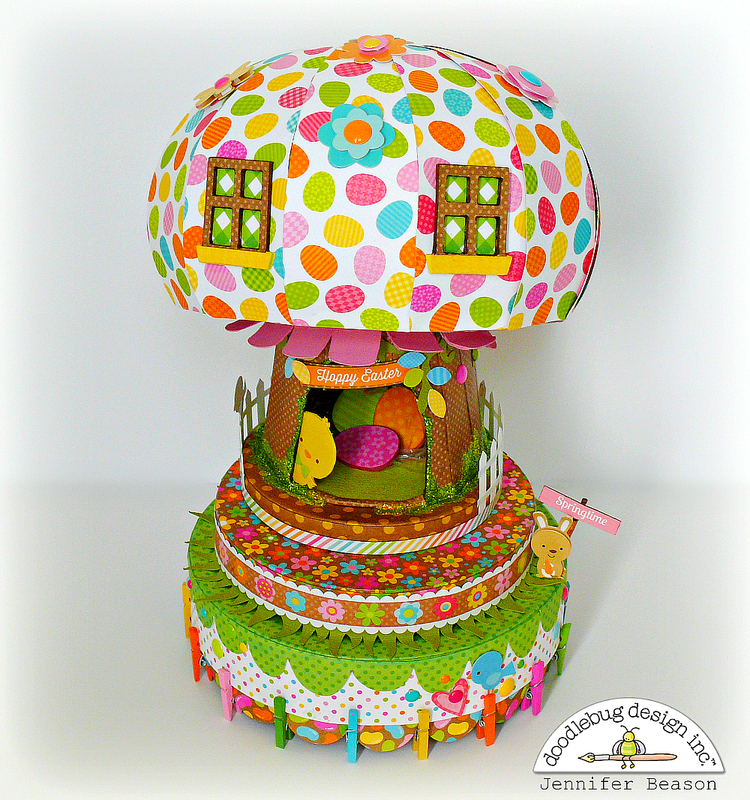 I love to create little houses of all kinds and this one was no exception. I used the Easter Parade collection along with some Hello Sunshine and other DB basics. A cutting file was used for the mushroom, which can be found here. I changed the design slightly by cutting out the door and curling up the ends on the roof. I also decided to use stacked box lids for the base, instead of cutting out the base provided. The finished size of the piece is approximately 6 1/2" x 10". 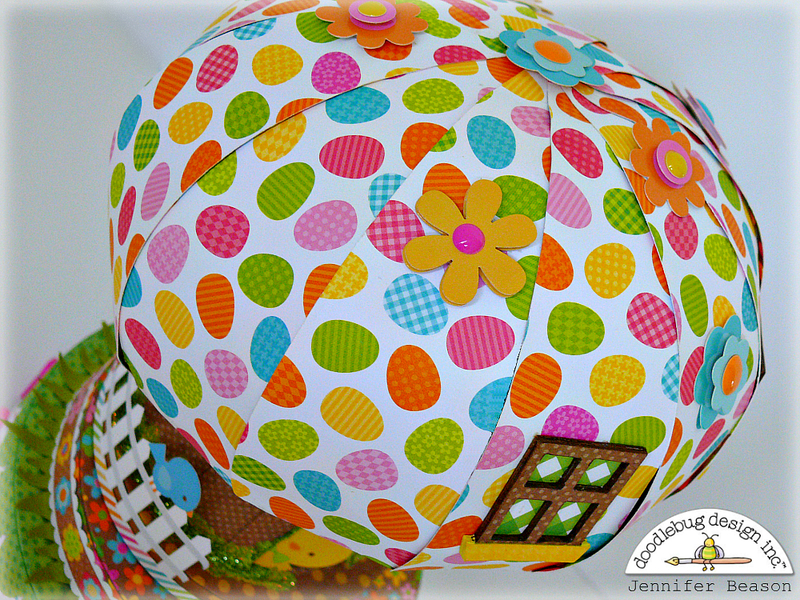 I couldn't resist using the Easter egg patterned paper for the roof and scattering it with Fun Flower, Mini Doodle Pops. Lots of fun stickers were used from the border and icon sticker sheets. Some, like the chick and eggs were mounted to chipboard. 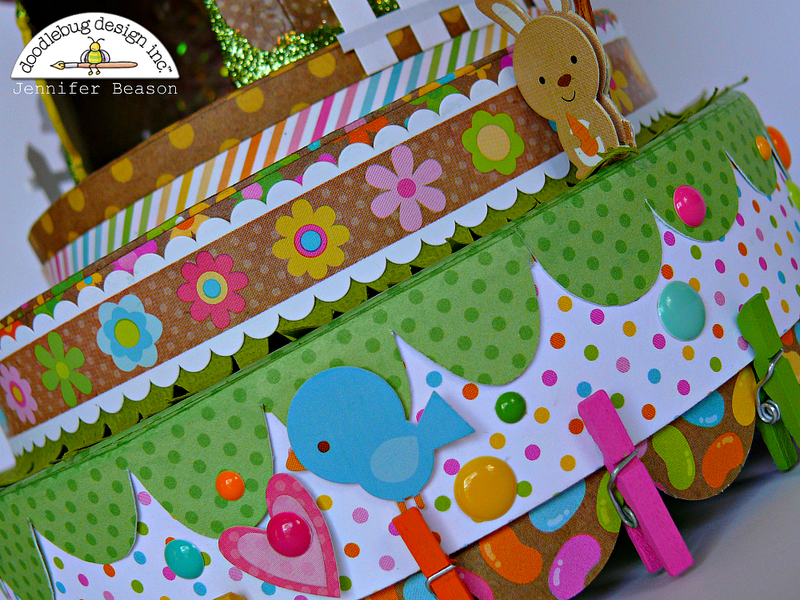 To finish off the project an assortment of colorful Mini Clothespins were glued to the bottom tier, along with a scalloped border. Thanks for joining me today. Happy crafting!!! Gorgeous Jennifer, love everythin on it!!! 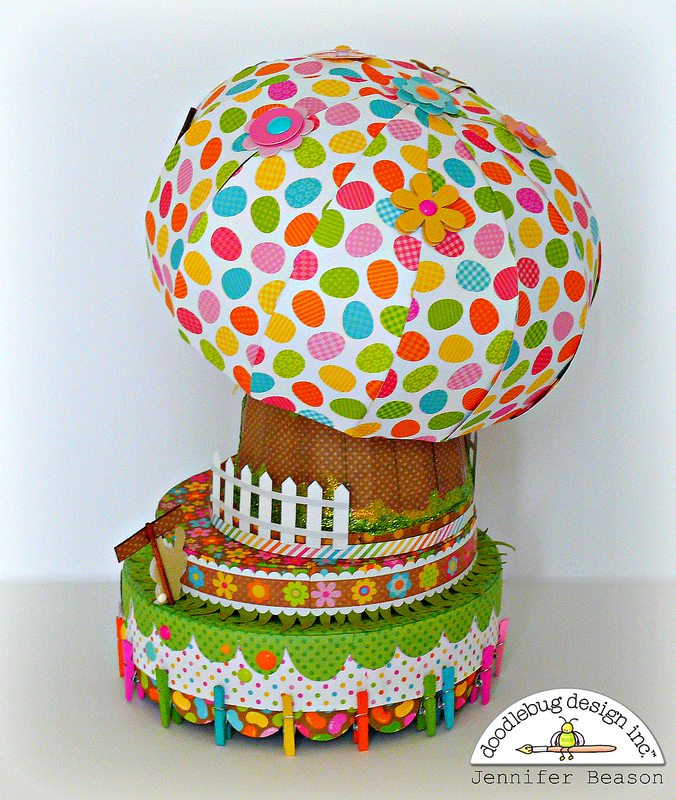 Jennifer - you totally rocked my world with this amazing mushroom house!! That little chick standing at the doorway is super duper cute and you have used Doodlebug Designs products in ways that amaze and astound me!! Such uber amounts of creativity and skill!!! So very impressive!!! 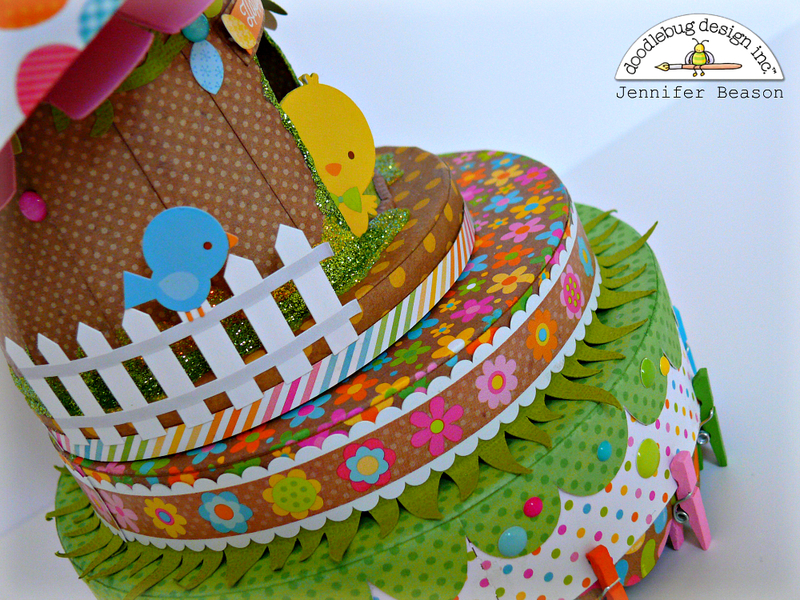 Your Easter House is SERIOUSLY AWESOME Jennifer - LOVE IT ALL!!! WOW!! Stunning ... I love it!